When you need an assessment for a ageing roof, we will quickly come at your request and answer any questions you may have. We offer a free roof maintenance inspection- stop potential leaks before they start. We service all types of residential and commercial roofs in Central Virginia. Passage of years, winter snow and ice, high winds, holes chewed by critters, improper flashing installations, and when mother nature dumps branches or even a tree on your roof, such are the causes of many roof leaks or failures- periodic roof inspections (suggested every 2 or 3 years) offered by Central Virginia Roofing can provide maintenance that will forestall preventable emergency failures or leaks. 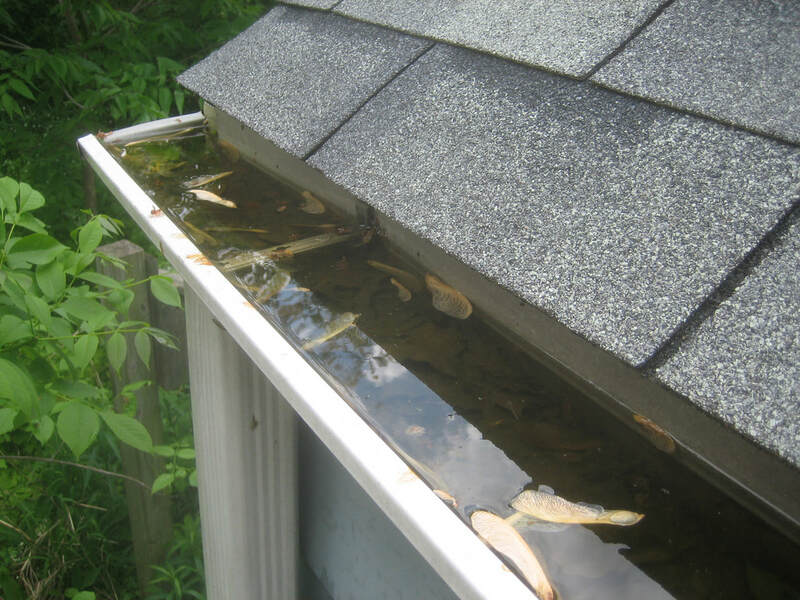 Inspection for your roof’s system’s health will check for debris on roof, dirty gutters, health of shingles, inspection of flashing around chimneys, vents and pipes, check inside home or office for water damage to underside of roof, and check for roof holes made by critters. A detailed written report will be provided explaining the health of your roof, potential problems, estimate of its additional life expectancy, and finally budget friendly solutions to any problems found. ​ Sloped roofs rely on gravity to keep the water flowing down off the shingles or tiles. Thus, the leaks occur mostly around perorations for vent stacks, chimneys, skylights or along valleys. We repair all types of sloped roofs ceramic tiles, asphalt shingles, wood shake, metal and slate quickly and affordably. If your roof is leaking, give us a call sooner than later because with time the hole gets larger. When water gains a path into your home or office, it gives rise to rot in wood studs, mold spores (which are all around us) build colonies and then the stink sets in. Don’t just put a bucket under those roof leaks- multiple hazards to your dwelling arrives with one small leak. Central Virginia Roofing offers a Free, No Commitments, Roof Assessment. . Contact us (434) 885-528 and we’ll respond quickly and at your convenience schedule an appointment. Preventative maintenance is the best way to keep your roof functioning for the full expected life span and maybe a little beyond. ​Roof leaks are a most unwelcome problem for a business because inventory and store contents can be ruined. 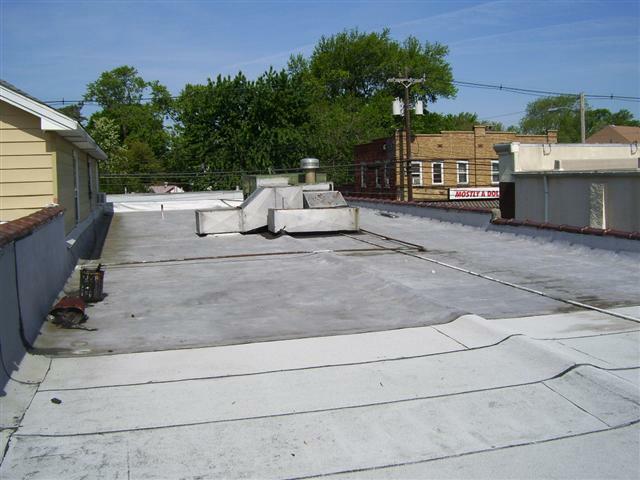 Roof leaks occur along flashing, seams, storm damage to membranes and punctures along high traffic areas (sometimes employees will use the flat roof as a work space and cause punctures to the roof membrane). Blisters quite often develop in Built-up roofs. If they are small ones’, intervention may not be required only a watchful eye. However, large blisters or ridges beneath the surface are a warning sign something is wrong and corrective action should be taken. Periodic roof inspections carried out on a preventative maintenance program offered by Central Virginia Roofing can provide maintenance that will forestall preventable emergency failures or leaks. Click to call Central Virginia Roofing (434) 885-0528 when you have an older commercial roof and want to try and maintain its integrity for several more years. We will inspect the roof for potential problems, and suggest a preventative maintenance plan that will keep you worry free. Not sure if you are due for maintenance? Contact us for a roof inspection.